#105) NORWAY II: Should we strip an Icelandic woman scientist of her character through media training? Do we really want “sameness” in the communication of science? HOW MANY PEOPLE END UP IN A SITUATION WHERE THE ENTIRE WORLD WANTS TO HEAR THEIR THOUGHTS? 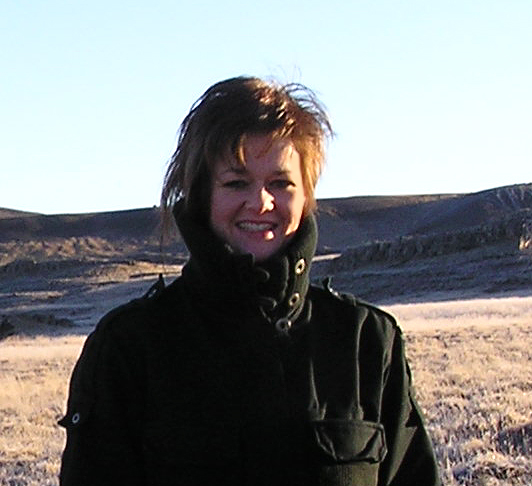 Dr. Rikke Pederson of the Nordic Volcanological Laboratory at the University of Iceland became one in April of last year when “her volcano” erupted. She ended up being one of three key science spokespersons for the issue. But does she still need “media training”? I am constantly trying to point out that communication is more art than science. Scientists love rules, artists hate them. As a result it’s only natural that when scientists seek media training they are seeking to impose a general set of rules on how things are done. But is that a good thing? One of the many fascinating people I’ve met so far in my 10 day visit to Tromso, Norway has been Dr. Rikke Pedersen, a geophysicist at the University of Iceland. She was on the panel with me at the Nordic Science Communicators conference and I got a chance to speak with her in-depth the previous evening at the opening reception. Not many people find themselves in a position where the ENTIRE world wants to hear what they have to say. But it happened to her in April of last year when “her volcano” in Iceland filled the sky with so much ash it shut down airline flights throughout Europe for 5 days. She is a postdoctoral fellow at the Nordic Volcanological Laboratory at the University of Iceland and has been studying the volcano for a few years. She said it was a volcano that had an unusually shaped magma chamber which made it less predictable for activity than most. The result was they were somewhat taken by surprise by the eruption. Within a couple days she and two other scientists found themselves in the center of a media maelstrom where EVERY news agency in the world wanted to hear directly from the voices of knowledge — wanting to know, “What the hell is going on and when is it going to end?” You can only imagine how intense the experience was for her. But more importantly, she is the rare scientist who is also a skilled communicator. She has a great speaking style, is attractive (sorry, television is a VISUAL medium, these things do matter), and has a good sense of humor with an impassioned voice. I have known a number of Europeans who like to use the word “special.” She uses the word a lot, but is herself a special person. So we ended up on a panel discussion. Before the panel we all listened to a talk by Dr. Malcolm Jobling of the University of Tromso, who referred to himself as a “nutty professor,” which is absolutely true. They had set him up to give one of the introductory talks as an example of a scientist who is a “good communicator.” As he got started, a friend sitting next to me and I traded glances of “what a goofball.” He talked about the effects of global warming on fish reproduction. He had a bunch of stuffed animals of fishes, and at the start, to convey the idea of a warming world (even though it was snowing outside), he stripped off his heavy overcoat, revealing a tropical flowered short sleeved shirt. He was also wearing sandals with bare feet and pulled out a pair of white shorts that he said he thought about wearing, but because his legs are stark white he wasn’t sure you’d be able to tell where the legs ended and shorts started. So we started our panel discussion. Someone talked about the importance of media training to make scientists better communicators, but eventually Rikke interrupted and said she wasn’t certain that it’s a good thing for all scientists, that she doesn’t want it herself, and that she would hate to see some “communicator” come along and start changing what someone like Dr. Jobling does. This is such a difficult and painful issue. Twenty years ago, when I was still a professor of marine biology at the University of New Hampshire, I was a much more interesting and “special” person than I am today. Back then I read lots of novels and watched countless slooooow, tedious, and even boring artsy European films. I actually thought the films of French director Eric Rohmer were gripping, and was able to sit through countless Bergman films. But now I look at that stuff and think the same thing I do when I hear a sloooow scientific research talk — how in the world was I ever able to make it through? My life has become faster and shallower. Such is life in Lalaland. Plus, guess what, we’re ALL faster and shallower these days. So when she made this comment I thought back to those days, and all the ugly, rotten comments I had to endure from Hollywood people when I first began to realize they didn’t give a damn about what I thought was interesting or the life experiences I had as a marine biologist. They had their set of rules for how mass communication works. Take ’em or leave ’em. I’ve learned a lot about those rules, and even written a book that presents many of them. It’s depressing and disheartening to learn the analytical structure behind mass communication. But once you’ve learned it, you can’t deny it’s there. Twenty years ago I despised the basic formulaic rules of storytelling that Hollywood holds sacred. But today I’ve come to realize how universal many of these rules are. And so I find myself trying to teach them. This falls into the same basic divide between science and storytelling that I scratched the surface of in my book. Science is about reality, storytelling is about perception. She is so right. And so are the media trainers. 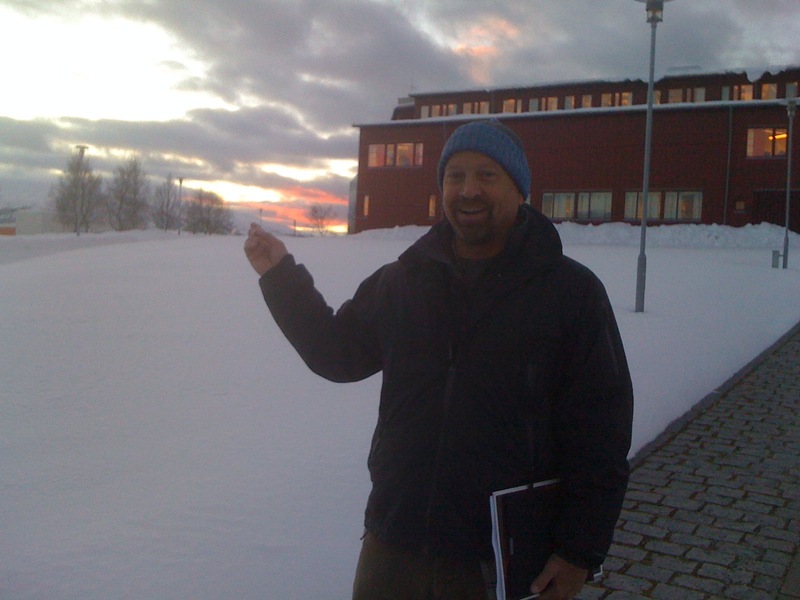 Tomorrow we start the intensive 3 day videomaking workshop with 25 climate science graduate students here in Tromso. I’ve read their scripts. I’m genuinely impressed. I have high hopes for what we’re going to see in the 5 one minute videos that will get made. I’ll try to post the results next week. This is the first time I’ve conducted one of these workshops outside the U.S. It’s going to be fascinating! HERE COMES THE SUN. This is a photo at 2:00 in the afternoon in Tromso, Norway which is above the Arctic Circle. In just two more days the sun will reappear, right where I’m pointing.